' IRA ke saath selfie milega kya ?' my cab-driver requested while on the way to HDFC's Interactive Humanoid launch. IRA ? Selfie ? HDFC ? Humanoid ? What's the connection ?. All of you, my dear friends must be wondering. Being a no-nonsense ( nosy according to my sister ) true blue journalist , I always chat with the cab-driver , instead of pouting for #OnTheWay selfie. Why ? cause, these are the people, who matter, to whom we cater our news. Believe me, in the past, I had told many cabbies that I was going for Hritik Roshan, Rekha , Sushmita Sen , Tiger Shroff, Abhishek Bachchan , Sonam Kapoor , Twinkle Khanna , Sonali Bendre, Bipasaha Basu, Athiya Shetty, Sania Mirza, Kapil Dev, Vikas Khanna, Yami Gautam etc. events. Almost all of them had reacted enthusiastically but never to the extent of requesting me for the selfie with a celebrity. 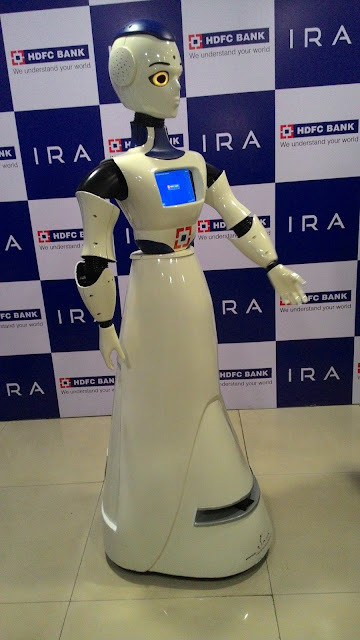 launch, HDFC Bank becomes the first bank in the country to introduce a humanoid for customer service. In the next phase, IRA’s capabilities will be enhanced further by introducing more features, such as Voice and Face recognition for customer identification, Voice-guided navigation, Balance enquiry, and Cheque deposit etc. 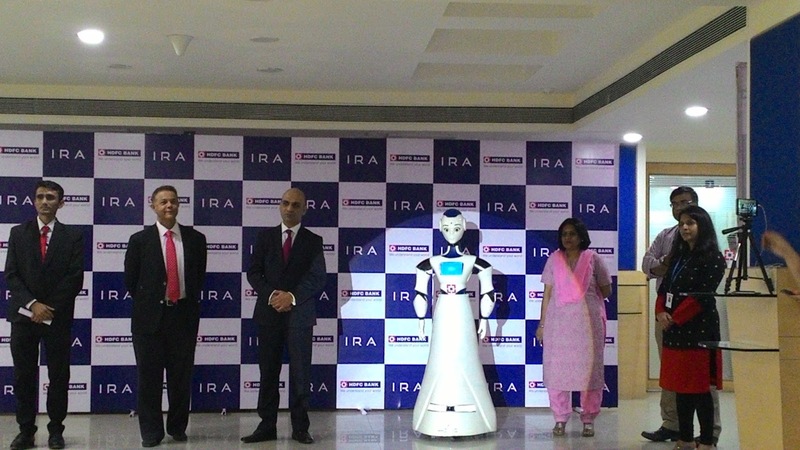 “We’re excited to announce the deployment of our first humanoid, IRA in the Kamala Mills branch. 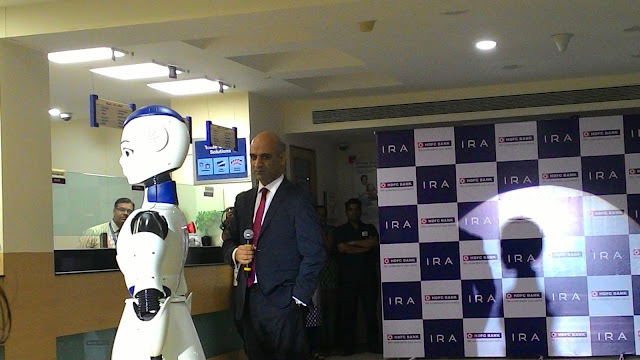 IRA is quite unique and will serve as a technology demonstrator in the field of artificial intelligence and robotics,” said Mr. Nitin Chugh, Country Head, Digital Banking, HDFCBank at the launch event in Mumbai. HDFC Bank has developed IRA in partnership with Asimov Robotics, Kochi. 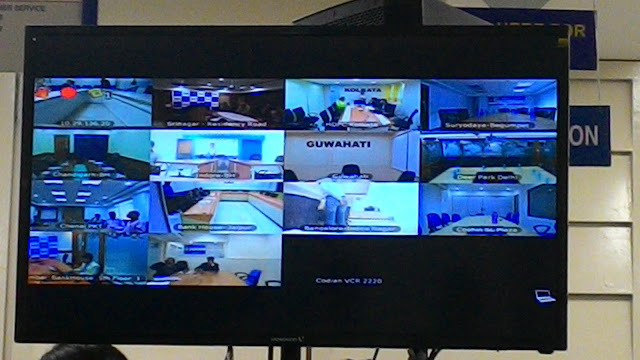 Mr. Nitin Chugh managed the Q & A session with media and HDFC's branches all over India, through Video-conferencing. He assured that there won't be any staff-reduction due to #IRA as it is an Assistant for the staff. In the near future, after getting the feedback , 20 #IRAs will be deployed in other branches and new features will be added. He highlighted that it was a proud moment for HDFC as #IRA is latest model of #MakeInIndia. The whole venue erupted in loud applause as live demo of #IRA was welcomed enthusiastically by the audience. HDFC Bank, Promoted in 1995 by Housing Development Finance Corporation (HDFC), India's leading housing finance company, HDFC Bank is one of India's premier banks providing a wide range of financial products and services to its 37 million customers across hundreds of Indian cities using multiple distribution channels including a pan-India network of branches, ATMs, phone banking, net banking and mobile banking. Within a relatively short span of time, the bank has emerged as a leading player in retail banking, wholesale banking, and treasury operations, its three principal business segments. asset quality. As of December 31, 2016, the Bank had a distribution network with 4,555 branches and 12,087 ATMs in 2,597 cities/towns. corresponding quarter ended December 31, 2015. Total income for the year ended March 31, 2016, was INR 709.73 billion (Rs 70973.2 crore). Leading Indian and international publications have recognised the bank for its performance and quality. Good to know about Ira. Very nice initiative by HDFC Bank. Nicely written article. 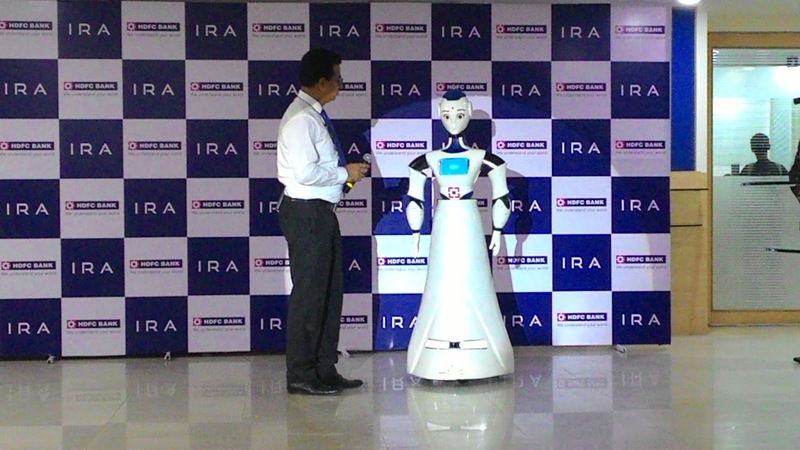 Hey Jyotirmoy , IRA is a Novelty, so it was an honor to meet in person and know more about the Humanoid . Hi ASP , Welcome to 'Spirit Of Mumbai'. You are right, about HDFC Bank's unique initiative. 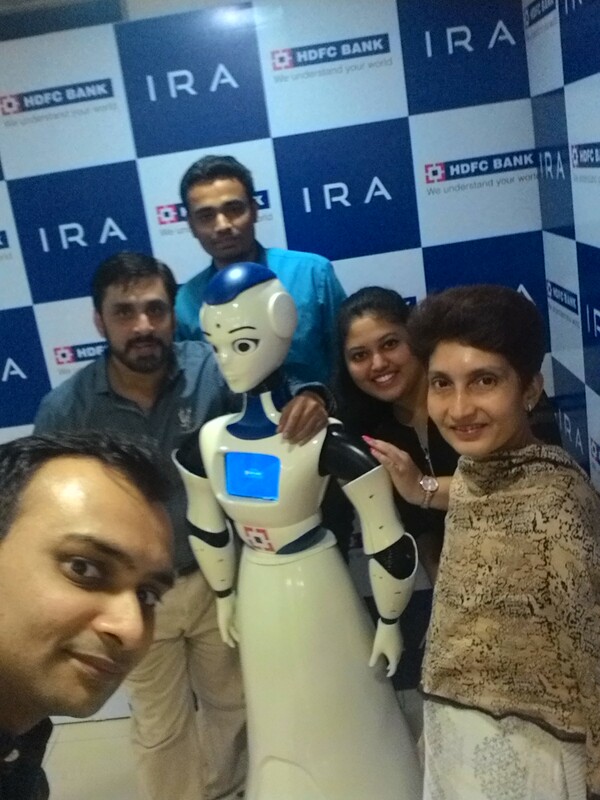 Interactive humanoid 1st time in Mumbai's banking sector. Thanks for appreciation. Hi SMM Delhi, Welcome to "Spirit Of Mumbai" Sure I will be writing about IRA's development in future.